“Love at great lengths.” Such a catchy tagline! 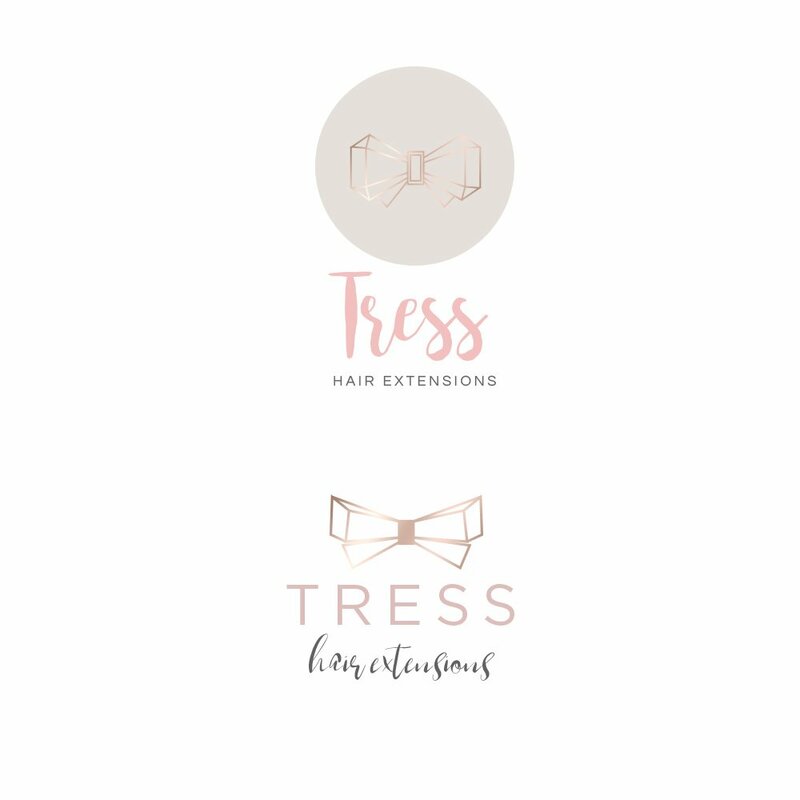 Tress Hair Extensions offers micro bead extensions in the Greater Toronto area. 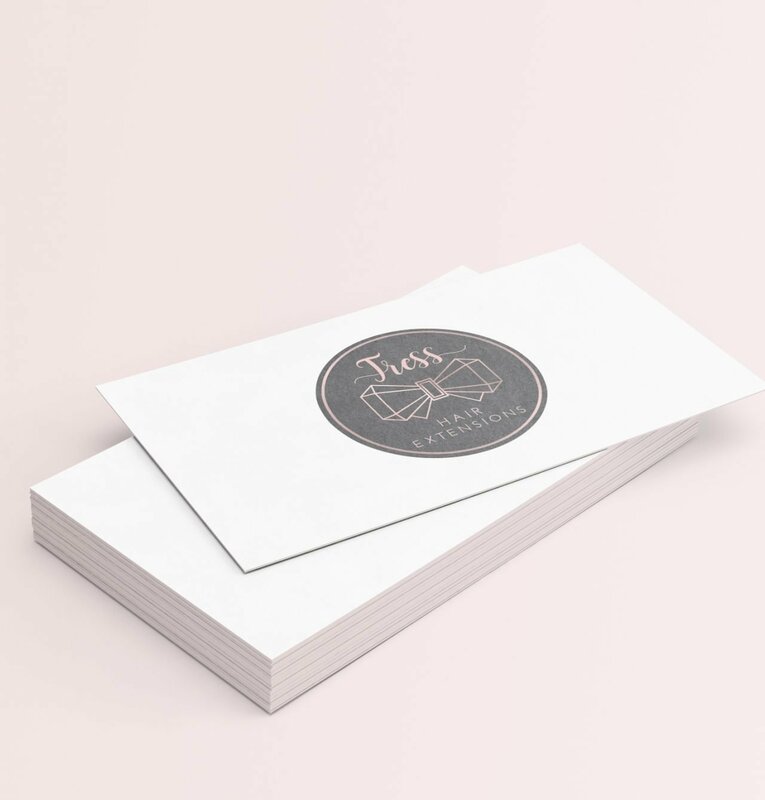 Samantha wanted a logo that was fresh, pretty, modern, and classy — and we focused on using a geometric bow as her icon. Like all my branding projects, we started with a questionnaire and I asked her to create a Pinterest board with all of her visual inspirations for her brand direction. Samantha had a clear idea of what she wanted, and her color choices as well as inspiration imagery conveyed a focused vision. 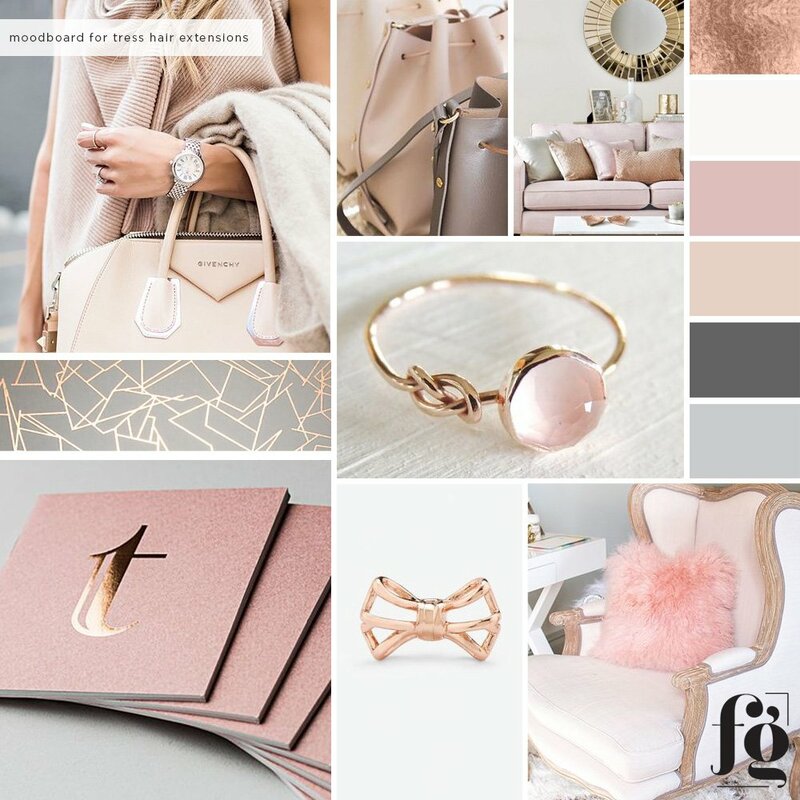 Here is the moodboard and color palette that I came up with based on everything she sent. Here are the initial designs that I presented based on her design brief. She was in love with Bromello as the main script font, to be paired with a modern sans serif typeface. I designed 2 versions of a geometric bow icon for her to choose from. After a few edits, we came up with two logo variations that she approved. I suggested using a different calligraphic typeface as Bromello turned out to be too rough for the look she wanted. She also opted for a darker grey background on the main logo, for greater contrast.